International Industry Consultants is a firm of Consulting Engineers specialised in Systems Engineering and Signals Processing. A typical business has several functional systems. Finance, Human Relations, Logistics, Asset Management to name a few. Often these systems are at different parts of their life cycle (immature, mature, obsolescent). A part of the systems challenge is keeping the systems working together, and having a plan for continuous improvement. Another part of the systems challenge is assembling data from multiple functional systems. Frequently, data is extracted from multiple functional systems into a variety of tools (spreadsheets, documents, reports, etc). This is often error-prone and resource intensive. Systems Engineering is the disciplined approach to maintaining optimal reliability, security and efficiency of the disparate systems supporting business operations. IIC’s electronic systems capability for defence and security-related technologies. IIC has experience in signals transmission, interception and processing across diverse media including electromagnetic, electro-optic and acoustic platforms. IIC designs, develops and supports specialised security equipment. IIC’s software engineering capability includes infrastructure architecture, applications solutions and support. Our projects range from operational support (including migrations) to innovative exploitation of web technologies. We assist clients to implement Continuous Improvement strategies for their business systems. Supported platforms include Windows, Unix and related variants. IIC advocates Agile systems development methodologies. The company manufactures, sells and supports a range of “Time Lock Cash Containers” (TLCC). The implementation of TLCCs in retail premises substantially reduces the risks to staff and financial losses associated with burglary. IIC also offers a range of secure “Cash in Transit” systems and products. To view our range of TLCC products please click here. IIC provisions products and systems for the remote management of infrastructure including “pit and pipe” access and security. Products, systems and services to remotely monitor, track or locate assets of any value. Need support using your KABA lock? View IIC Tech manuals for KABA locks here. Need help trouble shooting your lock? View IIC Tech manuals for SecuRam locks here. View the SecuRam Youtube tutorial videos here. 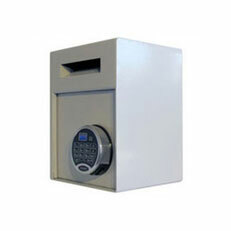 Secure your valuables with the Heavy Duty Type 1 time lock cash containers. 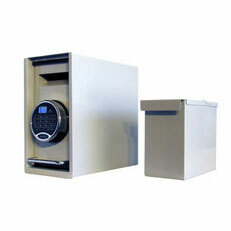 Safely and easily secure your cash with our handy Type 2 time lock cash container. 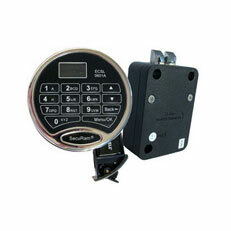 Protect your valuables with a highly-advanced electronic lock.